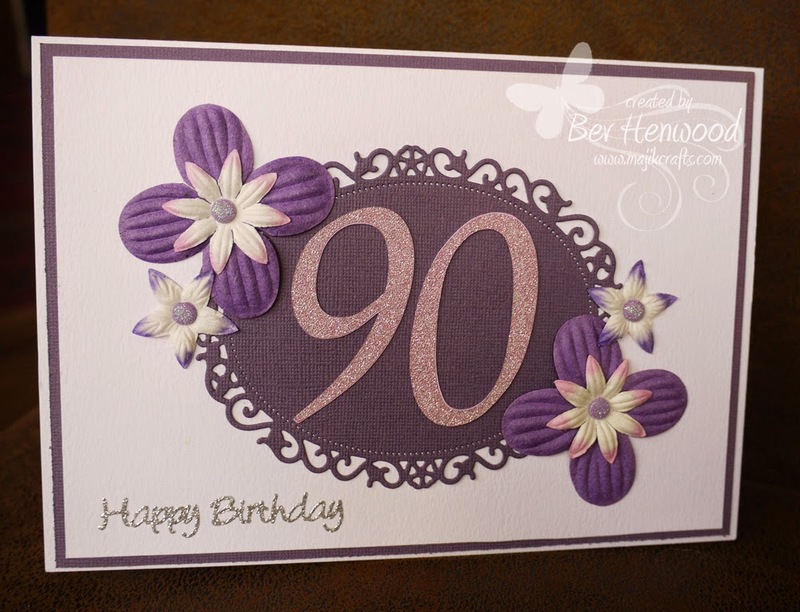 I was asked by a friend for a card for her Mother who will be 90 and is also visually impaired, so the card needed to be a 'sensory' card that she could touch and feel the detail on, it was also requested that it shouldn't be too busy (meaning do not put every kind of embellishment you have on it) as that would have been confusing. There was no point in doing a coloured image, so I kept it fairly simple, but each element has its own texture ~ whaddya think? The 90 is cut from Hobbycraft self adhesive glitter card using my brand new shiny machine the 'ScanNCut' (I absolutely love this machine)! The Birthday is tomorrow, so fingers crossed it meets with approval.